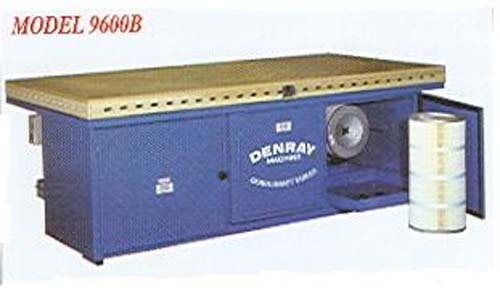 Recently Denray introduced a new tube filtration system. Dust is captured within the tube, and then falls into the drawer below once the machine is turned off. These new filters clean with 99% capture rate at 1 micron, and last 1 to 2 years with average use. These tables work with finishes, fine sanding dust and solid surface applications. They are available in a variety of sizes; and casters are a standard feature. Options available for this model line include: Exhaust Chimneys, Light Bars, Exhaust Mufflers, Magnahelic Gauges, HEPA Filter Banks, and Three-Sided 20" Tall Shields.